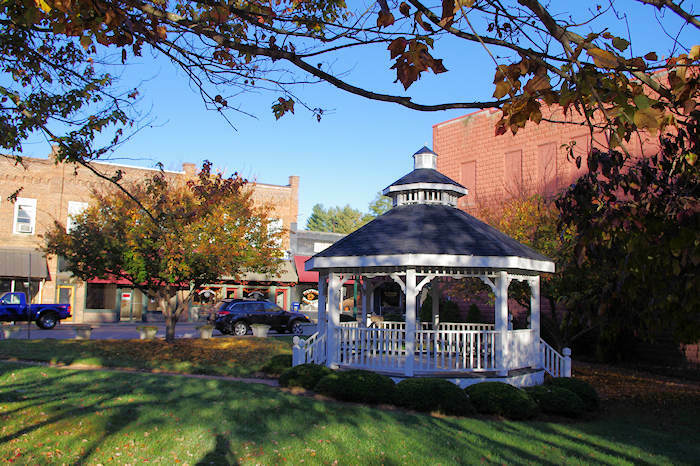 The small town of Mars Hill in Madison County is best known for Mars Hill University. 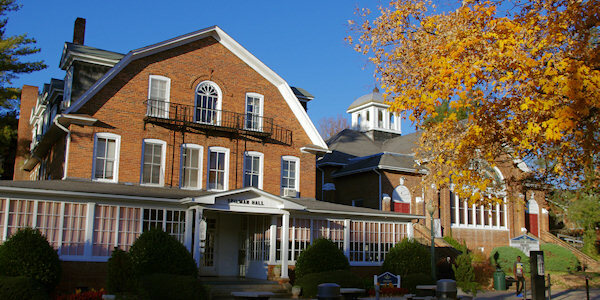 Many of the historic homes and buildings on Main Street show this connection, and the university provides many educational and cultural opportunities for visitors. During the school year, see great student stage plays (or national clogging champions) in the historic Owen Theatre. 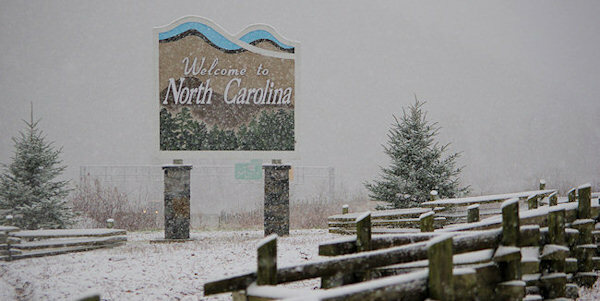 It's about 18 miles north of Asheville. Mars Hill University (founded in 1856) is a private, four-year liberal arts institution with a beautiful campus for strolling. It has an eclectic mix of 1,200 students from all over the United States and the world. Bascom Lamar Lunsford was born here and his collection of music and his letters are housed at the college. Also see the Civil War Trails marker on the campus to learn more about that period of Mars Hill history. The Weizenblatt Gallery hosts exhibitions of work in a variety of styles and mediums by artists of local and national prominence. It's open Monday through Friday 9 AM–5 PM during the academic spring and fall semester. 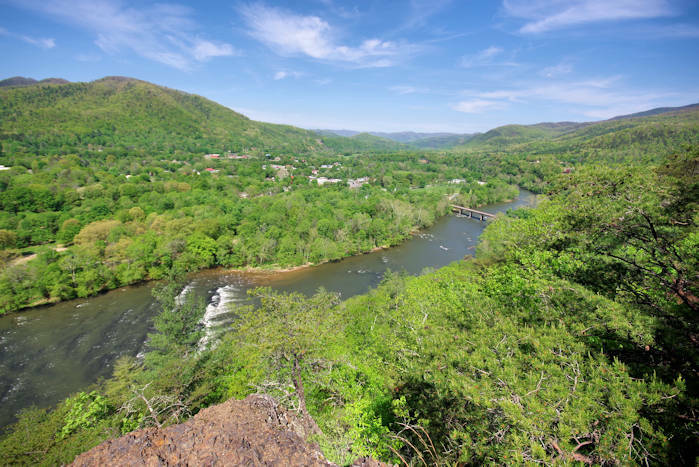 The beginning of the I-26 Scenic Byway begins here and takes you through beautiful mountain scenery into Tennesee. Wolf Ridge Ski Resort is nearby. Bailey Mountain Bike Park is the first year-round gravity (or downhill) mountain biking park. To ride the 1,000 foot vertical drop, ride to the top in a van and zoom down trails including a jump line loaded with hardwood trees and giant boulders. 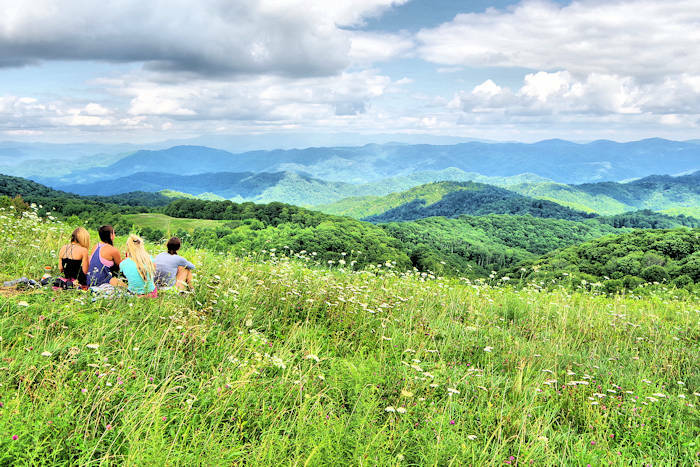 For many more things to do, click here to see 100 things to do in Madison County! October: Heritage Festival and Bascom Lamar Lunsford Music Festival is an all-day festival in on the first Saturday in October celebrates regional music and dance traditions. It is the second oldest folk festival in Western North Carolina and was named in honor of cofounder Bascom Lamar Lunsford. Lunsford was a musician and folklorist who dedicated his life to collecting and promoting the music of the Southern Appalachians. Through his work he became known as “Minstrel of the Appalachians.” The festival brings out the region’s finest musicians and dancers. Numerous music and dance performances, jam circles, and a ballad and story swap will occur throughout the day on the Mars Hill College quad — for free– and a concert in the evening at Moore Auditorium for a small fee. Madison County Heritage Festival includes local arts and crafts fill the town and campus.